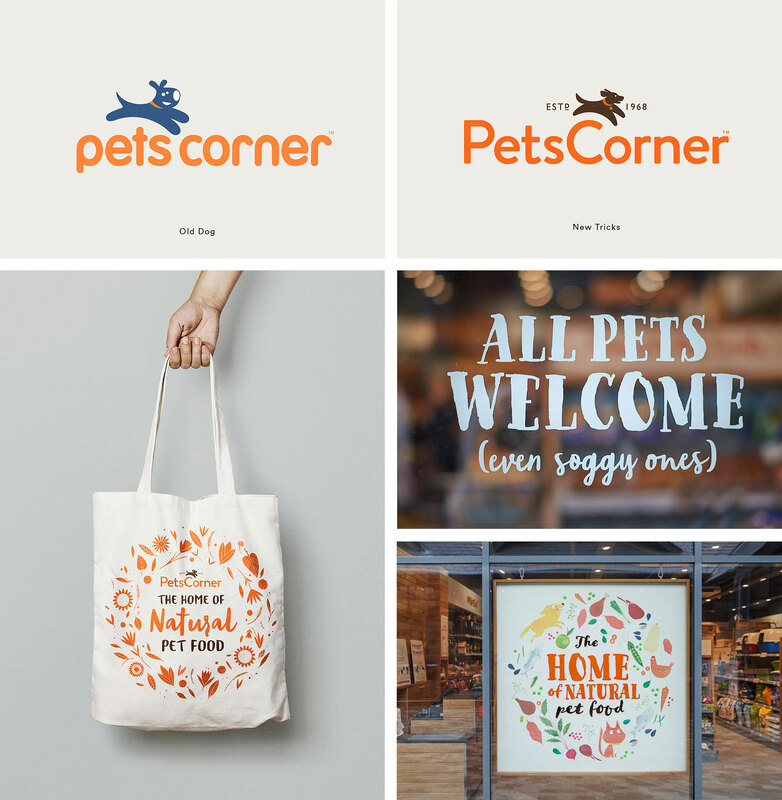 Bring some craft and heritage to the Pets Corner brand keeping a sense of fun, and position them as the home of natural pet food. 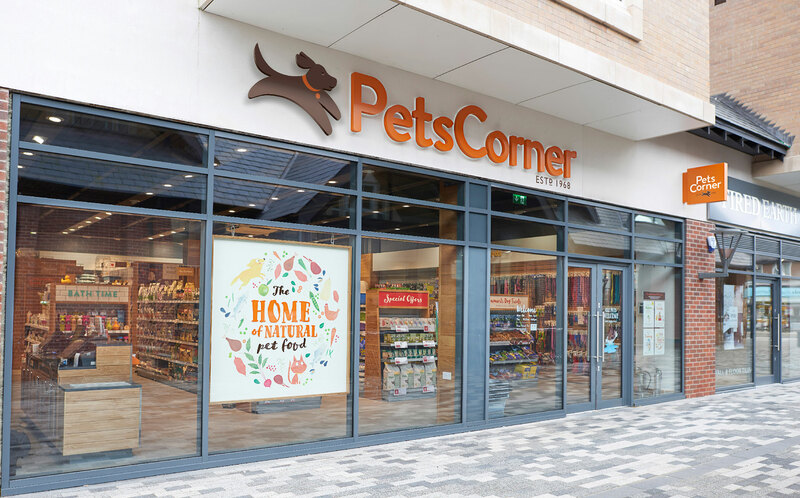 Pets Corner has grown rapidly over the past few years to become the second biggest chain of pet stores in the UK. 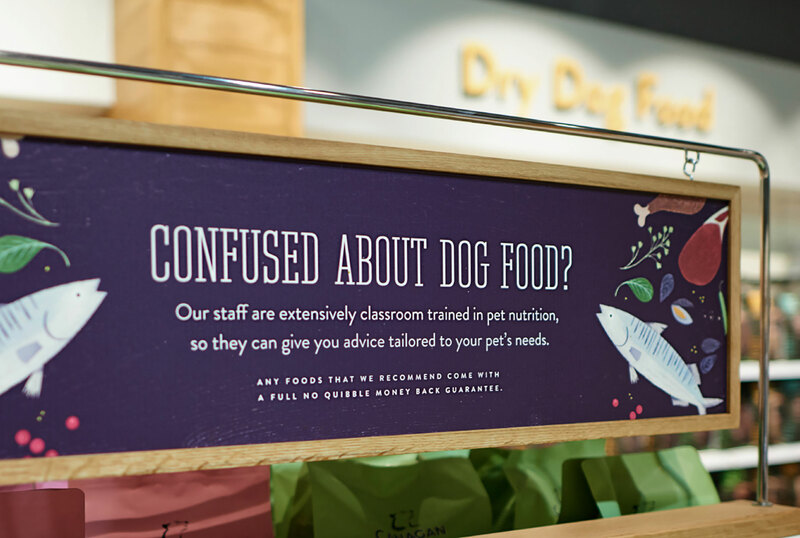 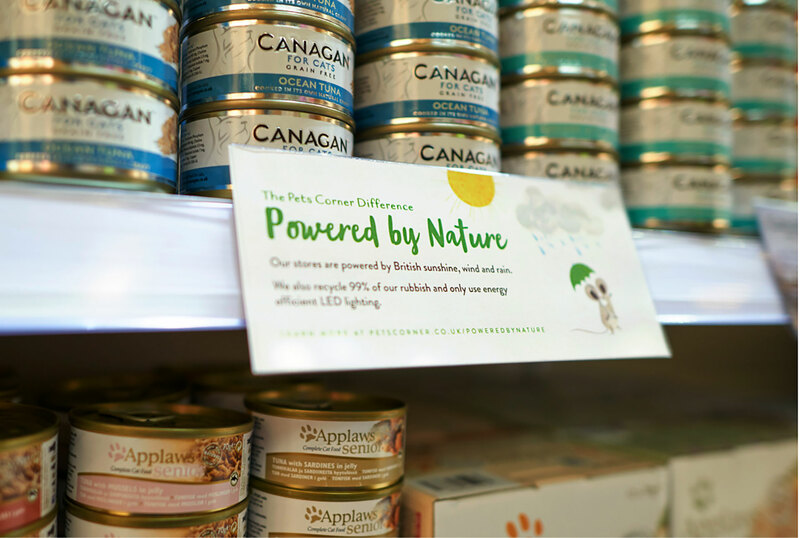 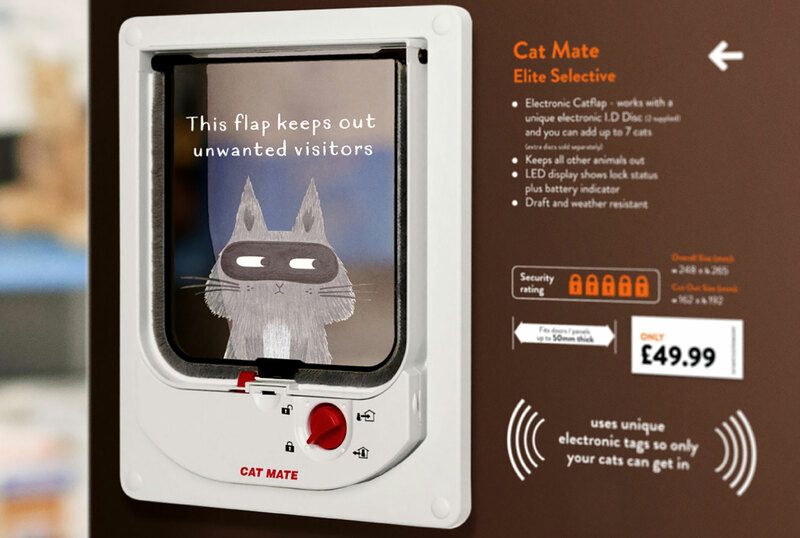 Unfortunately their branding and design hadn't evolved along with their business model that is now focussed on natural food and products for pets. 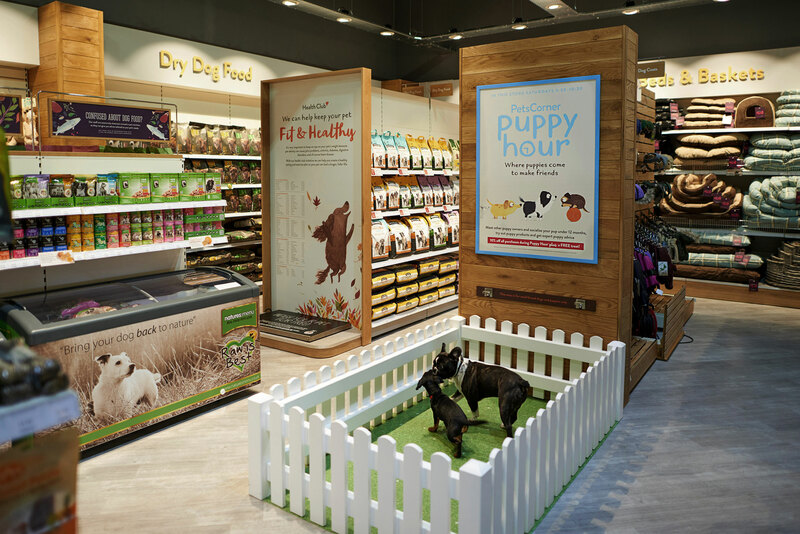 We also needed to communicate that they are the most ethical pet stores in the country, while keeping the sense of fun and friendliness that their customers love. 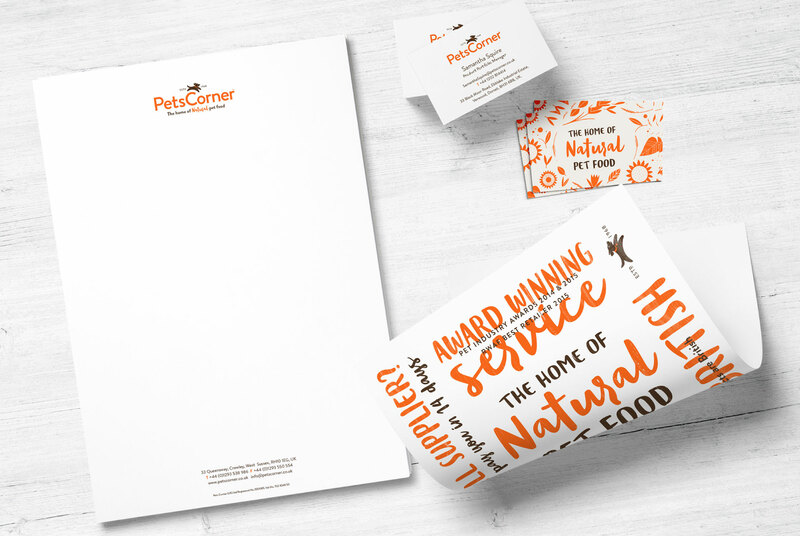 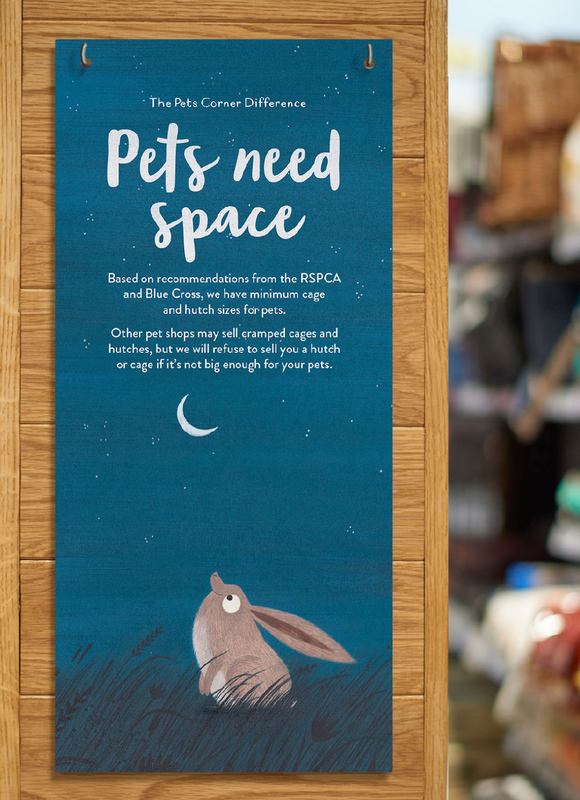 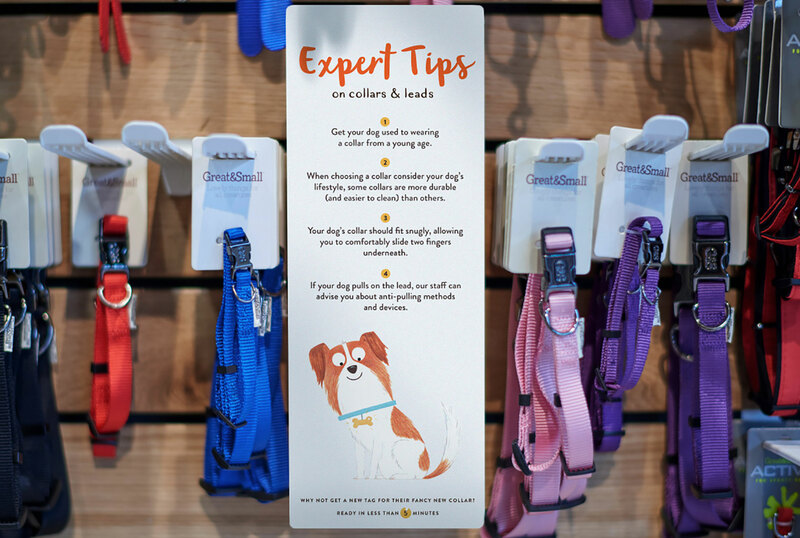 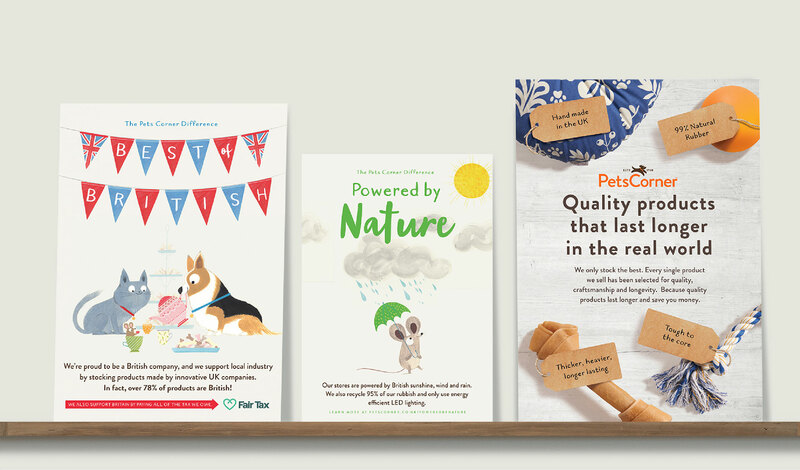 We worked closely with Pets Corner to create a unique and coherent brand across all touchpoints, from posters, barkers, fliers, direct mail marketing and website, down to helping select the wood for their counters. 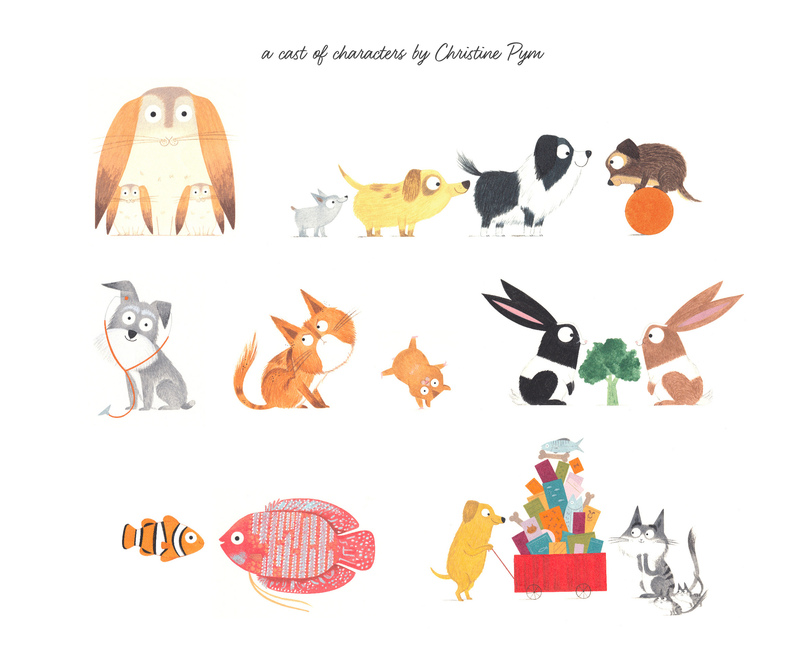 Massive thanks to the wonderful Christine Pym for creating such awesome characterful illustrations. 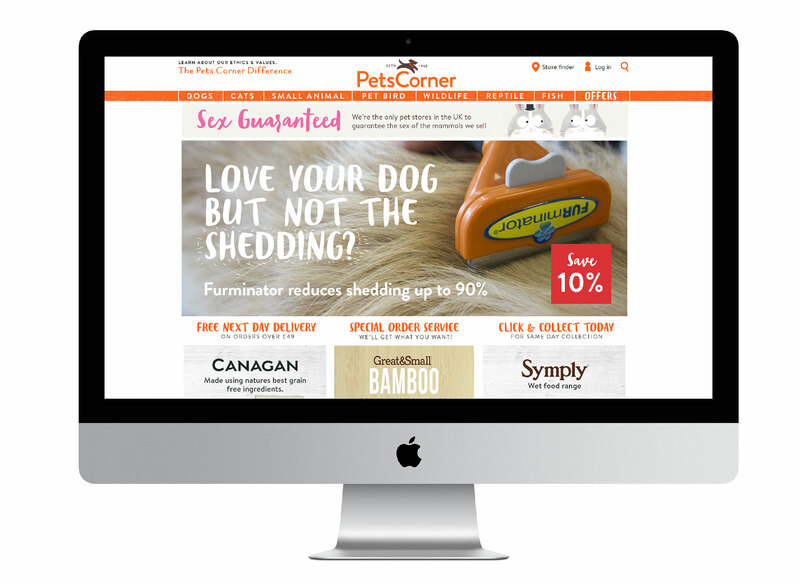 "Our staff and customers were very attached to our old leaping dog logo 'Petey'. 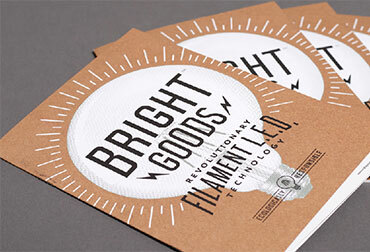 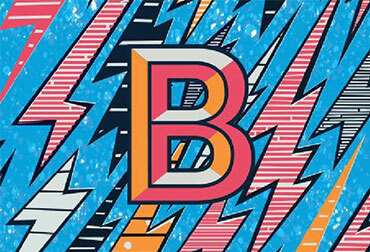 Junction took the time to make sure we updated our brand without losing our soul."